Researchers aiming to help parents of ill or premature babies are seeking volunteers for a new study. University of Aberdeen researchers are developing a computer system called BabyTalk. It aims to generate easy to understand reports on the baby's current condition, which will be updated every day and available online. The team are looking for parents who have had a baby in neo-natal care to help develop the system. Volunteers in the study will be asked to look at a range of short text reports about babies in neo-natal care. They will then be asked to assess how they felt on reading those reports. Saad Mahamood, from the university's department of computing and one of the researchers undertaking the study, said: "It can be hard for parents to take in all of the complicated medical information and the treatment that their baby is being given. "Our new computer system will produce secure automatic online updates about the baby so that parents can get news day and night, even when they are away from the ward. "Whilst this does not replace talking to medical staff it does provide an extra source of information and support for the parents, helping to decrease their anxiety." 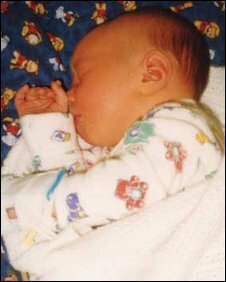 Wendy Moncur, who is also part of the research team, has personal experience of having a sick newborn baby as her son James - now 11 - developed pneumonia soon after birth. She said: "My personal experience combined with my academic and occupational background has been incredibly useful in helping develop this new technology. "The study is an opportunity to have input into technology which could improve the experience of parents whose babies are admitted into neonatal care in the future."